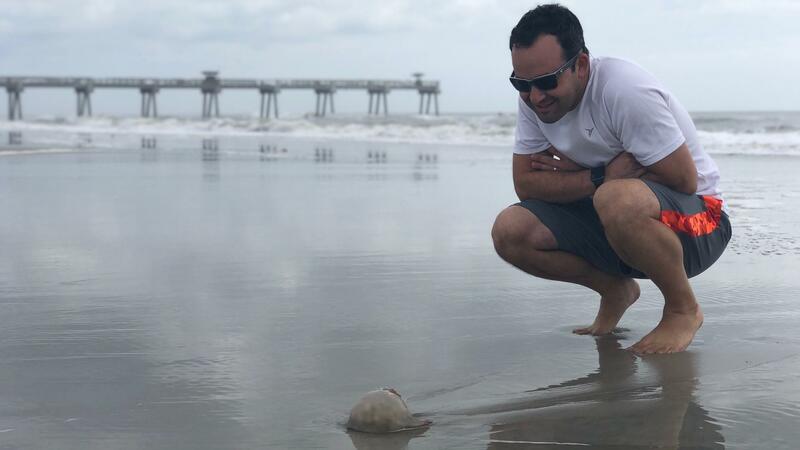 Beachgoer Jason Schatz examines a jellyfish Sunday that washed ashore in Jacksonville Beach. 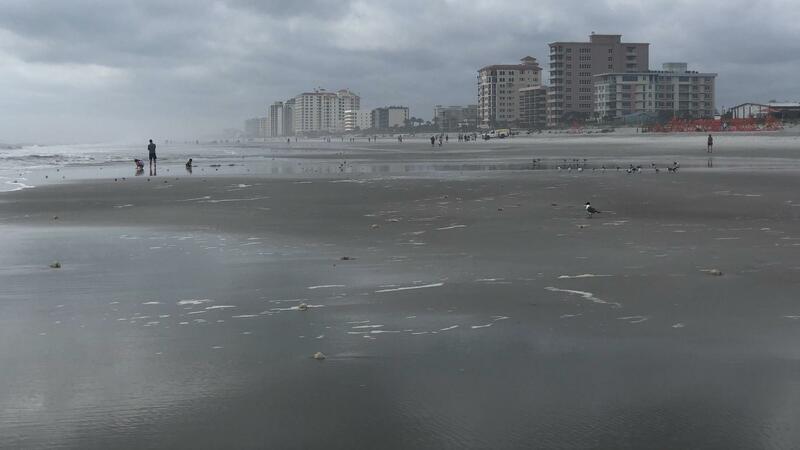 News4Jax meteorologist Mark Collins said its common for jellywish to wash ashore during this time of year. They’ll be searching for shakers of salt in Jacksonville Beach. Visitors from around the globe are descending on Jacksonville’s beaches this week to attend The Players Championship golf tournament.